Defense Lilly Agnon Emily Solaris. blah blah: My Lilly casts Sapping Vines, does 0 damage to Emily. But it still looks like Aegis is up. ...My Agnon Plummets Emily, does 0 damage to Emily. I went back and checked to make sure she didn't dodge or evade. She did not. Happens every time. Looks like a bug to me. Its not a bug, they are immune to that damage, it isn't supposed to pop aegis... it isn't do that. It’s a ranged nature attack that deals damage to everyone else. Emily is not immune to Nature attacks. And even if she were a hit for 0 damage should break her shield. Would you rather it say Immune instead of 0... Devs are just to lazy to do that, when 0 damage is dealt it basically means you did nothing, just like other video games, if something does 0 damage it won't pop the shield that prevents the next damage taken because 0 is Nothing... Although I thought angelic gave nature immune, maybe they never implemented it into the box or something... although if you think this bug is funny you should see wait till you see that the end of turn damage of sapping vines avoids all immunities... HAH!!!!!!!! she will be hit for 0 damage. That's what Aegis shield does. * except in the case of Ekko, who i sent against barbarians int he tower, and they were doing thousands of damage to him after his shield went up, but not hurting him at all. Edit: Man, I'm having a hard time finding Light-immune enemies. I could swear that Babel Mountain and the various Ekkos you fight in the later chapters were Light-immune. I wonder if they changed it at some point - when I was doing the campaign Lily's vines definitely did Light type damage, despite the tooltip. Edit 2: Okay, the Lich is Light Vulnerable, but not Nature Vulnerable. 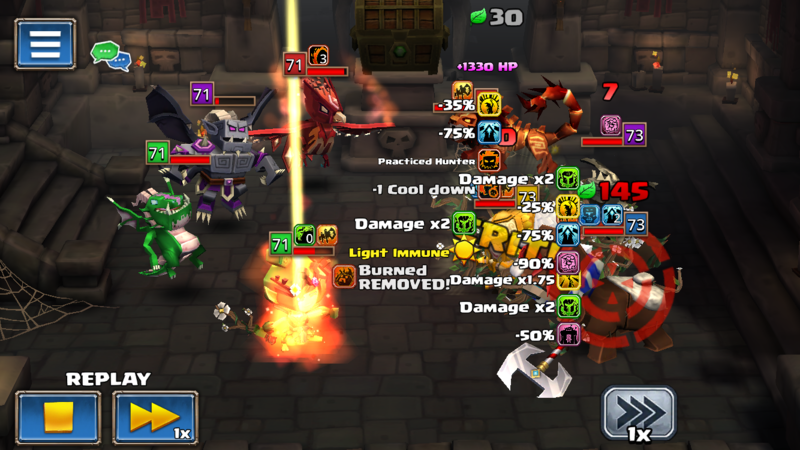 The initial damage from Vines does double damage to him, so yeah, it's a Light attack still. I'm sympathetic to the idea that a Light attack against Aegis'd Emily should say "immune" rather than 0/count as an attack, though. If she was immune, it would have said immune. it would treat the Vines as a light attack and say, 'immune'. Since it does not, it's is not. So this isn't a typo on their part, misnaming the type of attack, it's not registering as a light attack against Emily. Note also Sapping Vines used to be a Disease attack, it counted as such. I think they changed that. Emily is not a bug. She is an angel. Be kind to her. It does say "immune" if there's no Aegis on Emily, the same way it does for Ekko. So it is a bug and it's not a bug. But the overall effect intended. That's a sold "maybe". They stated that Emily not being possession immune was intended because possession is not a debuff, and then a couple of days later they made Emily possession immune because she's immune to debuffs. If you're worried about getting slapped on the wrist for posting this in the bug forum I wouldn't be, because there's no earthly way for us to know what the devs actually intend. For whatever it's worth, I just wanted to point out once again that Lily's vines are bugged, whichever way the Aegis thing works is cool by me. Lot of debate here over what seems to be a pretty obvious bug. Lily’s vines are supposed to be a nature attack. Instead, it’s counting as a light attack. Using against Emily pops up the “light immune” message, and since she is immune, no damage is done and the shield does not get used up. 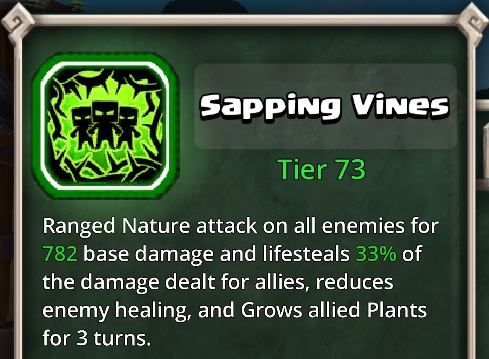 Changing vines to be the correct nature damage would fix this. I did not see light immune when I looked at the replay. But that at least clears it up.